First, it is my opinion that Director Comey is doing the right thing by notifying Congressional members of the recent developments in the Hillary Clinton ‘email investigation.’ Moreover, I don’t think he had any other viable choice in the matter. But, I also believe that he put himself in the box by not following normal and customary FBI procedures initially. Meaning…? The FBI is now, and always has been, an investigative agency. Usual procedure in FBI investigations is to conduct same in a thorough manner; and then present the results to the regional United States Attorney; or in this instance it would have been the United States Attorney General (Loretta Lynch). Comey put himself in the spotlight for questionable reasons, or at the direction of Lynch, when he gave his famous, or infamous depending upon your point-of-view, analysis of the original Clinton email investigation – and that said case had no prosecutive merit. Why did he do that? I’m not sure. Perhaps, it was a matter of self-assertion (I’m a player too), or perhaps self-promotion (political ambitions.) Or, maybe, it was at the direction of someone in the Obama administration (like the President himself) to take the focus off Lynch and her very inappropriate meeting on the tarmac with Bill Clinton. If Lynch would have allowed Hillary to ‘walk,’ the public would have screamed ‘cover-up,’ and with some justification. So, it probably appeared like a good move to everyone, including Comey, that he give the prosecutorial opinion. But, don’t tell me that Comey made the decision on his own. I just can’t buy it. Obama was in. Lynch was in. It all seemed so simple and clean at the time – to the ‘players’ at least. Comey is in a bind. I wonder how this will all work-out – his career that is. Now, certain members of Congress are throwing their weight around – saying Comey has violated the Hatch Act. That is just ‘eye wash’ folks. Politics talking. It’s not going to happen. Comey, as of now, is doing the right thing. Let's see how it plays out. The Clinton Foundation is still on the FBI's table. More to come I predict. Interesting Presidential election, isn't it? I never met Camilla Hall or her cat; both had tragic, untimely deaths. As I think back, the Patricia Hearst investigation often seemed unfocused and disorganized in the FBI’s San Francisco Division. There were approximately 100 Agents brought in from other divisions to assist, most of them young and, relatively speaking, unfamiliar with the surrounding, radical environment swirling around San Francisco and particularly Berkeley. We, the twenty Agents, assigned to Berkeley were considered to be the most familiar with the area; and were generally utilized accordingly. Agents from other field offices were mostly used for stationary or moving surveillances, or in some instances assigned to ‘towers.’ (I will describe ‘towers,’ later). One evening, I returned to the Berkeley Resident Agency after covering some leads. I was approached by an older Agent who was responsible for coordinating assignments. This was rather early in the investigation, and the whereabouts of the SLA members, still at large, was unknown. The Agent told me that Camilla Hall’s residence had been identified and checked-out. It appeared that she had left her apartment a week or so previously; but apparently took little or nothing with her except her pet cat. It was believed that she would try to return for clothing or other abandoned items and we needed to set up a twenty-four hour surveillance on her apartment. 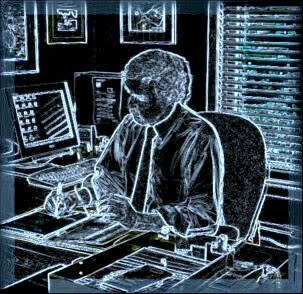 Unfortunately, the older Agent advised, we need someone to start as soon as possible; and he asked if I’d be willing to take the overnight shift – even though he knew that I had been working all day. I said I would. He said to get to the apartment as soon as possible, establish a discreet location; and that he’d try and get me some relief about eight in the morning. I went home to get what I would need – knowing it would be a long night. At home, I gathered some warm clothes, a pillow and my poncho liner from the military. I also took some snacks and a thermos of coffee; and an empty plastic bottle to pee in if there was no other option. More importantly, I had binoculars, camera, a strong flashlight, my .357 and a speed-loader with six additional rounds. I positioned myself shortly after dark. I did find a discreet location. I could see her apartment, but was not sitting directly in front of someone’s residence. It was a long, mostly uneventful, night. Cars would pass, even a pedestrian or two, but no one seemed to notice me. It was hard to stay awake. This is the nature of real police work – not like in the movies that’s for sure. I knew, of course, that if I was spotted by a member of the SLA, before I saw them, I would be in serious trouble. Nonetheless, sometimes, the need to sleep is hard to resist – no matter the circumstances. Fresh troops, two-man teams, were assigned the following days and nights. I’m not sure how long they maintained that surveillance, but Camilla never returned. She had what was dearest to her – her pet cat. And, in her judgement, there was no reason to risk returning. As previously noted, the cat died with Camilla in the Los Angeles shootout and inferno. This old San Francisco Examiner, dated Monday, May 20, 1974, is kind of interesting. It does bring old memories back. This particular issue is largely about the Hearst case which may explain why I kept it. On the other hand, maybe not; the Hearst kidnapping was covered extensively for months – realize that the Examiner was controlled by the Hearst family. Prior to May 20th, most of the SLA had been killed in a shootout in Los Angeles. There were three remaining fugitives – Bill and Emily Harris, and Patricia Hearst. For perspective, it’s kind of interesting to look over this old issue of the Examiner. As I’ve said previously, I hadn’t looked at it in decades. Some of the day to day stuff was kind of interesting. For example, the Examiner’s daily issue, at the time, cost 15 cents. Now, Portland’s daily is $1.50 and the Sunday issue is $3.00. Much of this issue had to do with ‘Watergate,’ which some of you might recall. President Nixon was still in the Whitehouse, but was under a lot of fire – which ultimately led to his resignation. There is a full page advertisement for “Marlboro Green, Now in the Flip-top Box.” Don’t see that sort of thing much anymore. Maybe the ‘Marlboro Man’ dying of cancer took the wind out of their sales - moreover the public awakening I suppose. Regarding cigarettes, its current reputation as a killer isn’t exactly new. Sixty to seventy years back, they referred to cigarettes as ‘coffin nails.’ But, I digress. As a personal impression, and I got to know much about all of the SLA members, Camilla Hall seemed to have the most redeemable qualities. It appeared that she joined this group more out of love than any sort of radical, psychotic motivation. Camilla was a lesbian devoted to Patricia Mizmoon Soltysik who, in my opinion, had few if any redeemable qualities. 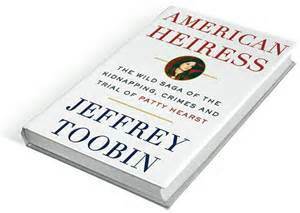 I’ve been giving some thought as to what I might add to Jeffrey Toobin’s book, ‘American Heiress.’ He did a very thorough job; and although I participated in the Hearst investigation, I found his book interesting and informative. What more is there to say? Well, all I might add are my personal experiences – what it was like in the trenches – so to speak. When Patty was first kidnapped, I felt, and my feeling was not unique, that we, the Agents, would do anything possible to save her – to include, with no reservation, risking our own lives. Many investigations in the FBI, then and now, are routine, boring, and with little or no motivational spark. 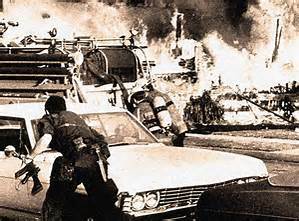 Patty’s kidnapping, that February night in 1974, set a fire among the Agents to work long hours, take risks, and bring her home. We in the FBI’s Berkeley Resident Agency felt, somehow, especially responsible – that was our turf. Patty was none of that and proved to be a spoiled rich girl with little or no inherent moral compass. I know many will say she was ‘brain-washed.’ I later heard that numerous times – in her defense. My response, as she became more known to us, was then and is now, ‘nonsense.’ I think Mr. Toobin made this point very well. She was an unrepentant, participating criminal; who committed countless felonies; including driving a getaway car at a bank robbery where a woman (a mother of four) was killed (murdered), shot-gunned to death. Patty later testified in court, coldly in my opinion and basically to save her own skin, against Emily Harris who actually shot the woman. I kept an old newspaper (San Francisco Examiner dated Monday, May 20, 1974). A souvenir so to speak. It is now wrinkled and yellowed. Time moves on - more than four decades. I suppose there is little point in keeping it much longer – not even worth recycling. I might burn it in the fireplace. Perhaps, I will talk a little more about this old publication, give you a little glimpse of the 70s for those who might have forgotten, or for those who were not even born. ** As I’ve said before, some of the best people I’ve ever met (war heroes, scholars, athletes, and all manner of professionals) were FBI Agents. 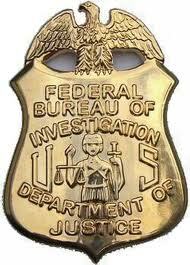 However, as I’ve also said, some of the biggest knuckleheads I’ve ever met were FBI Agents. Recently, I finished a good book – ‘American Heiress’ by Jeffrey Toobin. I recommend it. Of course, as Toobin points out, Patty Hearst preferred to be called Patricia by anyone other than her immediate family. We, in the FBI’s San Francisco Division, called her ‘Patty.’ We got to know her pretty well. February 4, 1974: I was assigned to the Berkeley Resident Agency when Patty was kidnapped and don’t recall any Agents dressing as he described. Oh, some of the older guys headquartered in San Francisco, desk jockeys mostly, might have occasionally worn white shirts and black shoes – but a “crew cut,” not hardly, unless they were attempting to conceal the fact that they were prematurely going bald. This was San Francisco and Berkeley during the early 70s. Agents working the streets dressed in accord with the venue so as not be too conspicuous. Maybe, Toobin is talking about old photos of Charles Bates, Tom Padden or Monte Hall – prominent players in his story. I will discuss them further in subsequent posts. We knew, of course, that the SLA had already murdered the Oakland City Superintendent, Marcus Foster – a particularly cold blooded murder; shooting Foster with cyanide-laced bullets as he exited a school board meeting. It was, at the time, a local crime being investigated by the Oakland PD. Soon, there was a break in the case when a Concord Police Officer, conducting a routine FI or field interrogation, got in a shootout with Russ Little and Joe Remiro – who were members (later determined) of the SLA. At that point, the nature of the SLA and who its members were began to come into focus. The night Patty was kidnapped, I was one of the first Agents to respond to the scene. I still remember how chaotic it was. The confusion factor was almost overwhelming. FBI Agents, including myself, began interviewing anyone in the area they could find. Often times individuals contacted had already been interviewed by the Berkeley Police Department – and said individuals were understandably irritated by the FBI’s duplication of efforts. One couple slammed the door in my face. I made a note to return the next day when, perhaps, they would be in a better mood. The FBI was not popular in those neighborhoods. Ultimately, we spread out doing neighbor inquiries, noting license plates, taking photographs, mapping the neighborhood, and coordinating pertinent information that might lead to a quick locate of Patty Hearst. As the violence involved became better known and the prominence of the victim became increasingly clear, we began preparing for the big push the following morning. Berkeley PD was initially in charge of the investigation for the first 24 hours. After that, the FBI was the lead agency. Federal statute states that the victim, if not recovered within the first 24 hours, will create the presumption that the victim had been transported interstate or foreign commerce. After 24 hours, with certain exceptions, kidnapping becomes a Federal crime (The Lindbergh Law). February 4th turned into a long night; and the beginning of many long nights and days to come. **A point needing a little clarification is concerning J. Edgar Hoover. It is often stated and inferred that he had a bias against Blacks and did not allow Blacks to become Agents. I entered the Bureau under Hoover’s watch. There were two Black Agents in my New Agents’ Class. Both great guys.